Here at Who What Wear UK, we're constantly on the lookout for rising stylish Brits who make us want to consider re-styling our wardrobes for the better. And the lead singer of pop band to watch Anteros, Laura Hayden, is one of the most stylish singers poised to break out on the festival circuit this summer. The frontwoman, who is also signed with Storm Models, has a busy summer of touring ahead of her, with Anteros signed up for Glastonbury, Secret Garden Party, Leeds and Reading, to name but a few. And even though festival style might have had a bad rep of late—thanks to a global epidemic of floral garlands, chokers (a trend Alexa Chung doesn't agree with) and too-short shorts—Laura Hayden is a girl with a festival look that we can get behind. Her field look is all about timeless rock 'n' roll essentials, with a mix of retro tailoring, classic Levi’s and vintage Tommy Hilfiger denim, plus Rockins skinny scarves, band T-shirts and statement sunglasses. Listing her on-stage wardrobe essentials, Laura tells us her festival wardrobe is built around: "Velvet flares (can't seem to get enough of them) and jeans. A lifetime supply of white tees (Kit & Ace make my favourites), and I also love statement jackets with massive pockets so I can fit the entire contents of my bag in them and leave my usual bag at home." She has a thing for practical, tough boots, wearing Dr. Martens and Isabel Marant boots with a hidden heel when performing. "Shoes are my kryptonite," she explains. "I'm currently living in my glittery Isabel Marant sneakers and my gig boots, [a pair] made to measure by Felix Jouanneau." 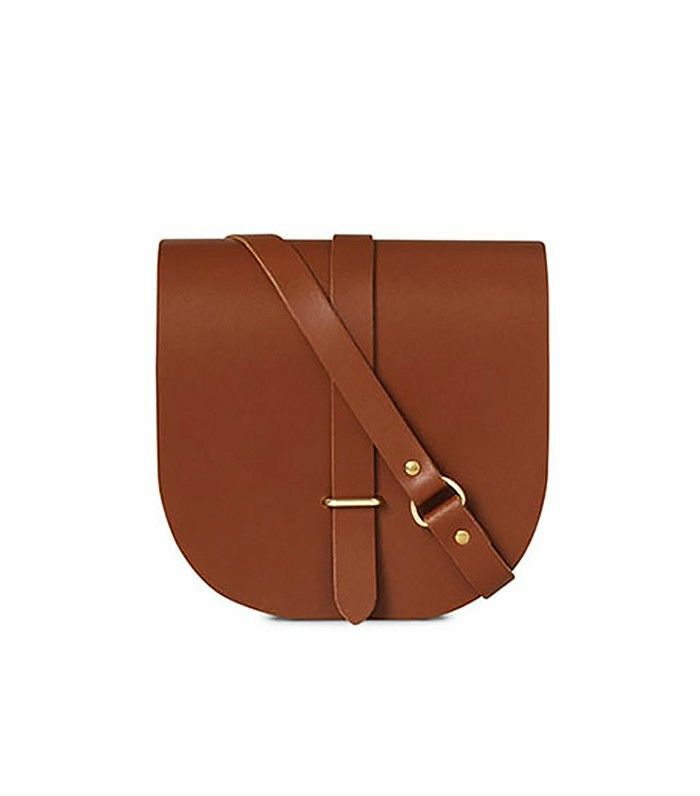 Heads up—Laura has this bag in brown with her initials on it. The perfect festival-to–fun night out jacket. Laura tells us she's been wearing Levi's Wedgie fit jeans nonstop since they came out earlier this season. These classic boots get better with age… and a little bit of mud. Statement sunglasses are the ultimate festival essential—they'll lift an outfit built on basics. Laura tells us: "Loads of my friends asked me to bring them to wear at Glastonbury!" 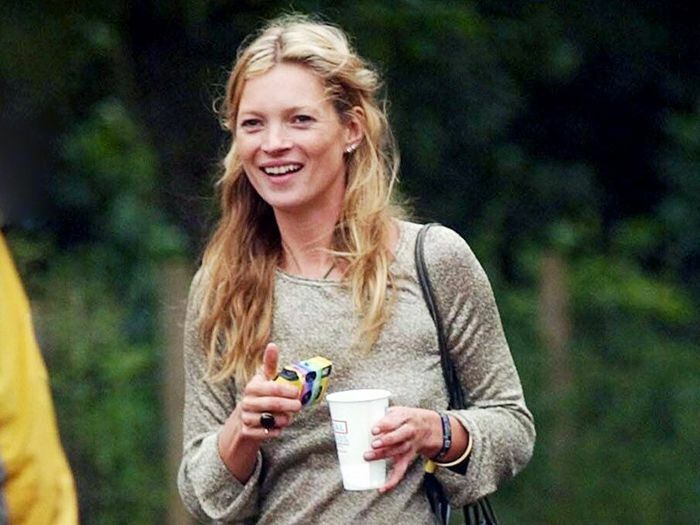 Laura wears Rockins skinny scarves—also loved by Kate Moss—around her neck or as an alternative headband. The hidden-heel boots Laura uses to look that little bit taller on stage. "My friend, jewellery designer Yasmin Everley, gave me this necklace she designed for my birthday, [and I] have not taken it off ever since. It will be my good luck charm when we play," says Laura. Scrunch this jumper into a backpack, and it'll still look good when you pull it out! Do you like Laura's style too? Let us know in the comments box below, and shop for more festival fashion buys.